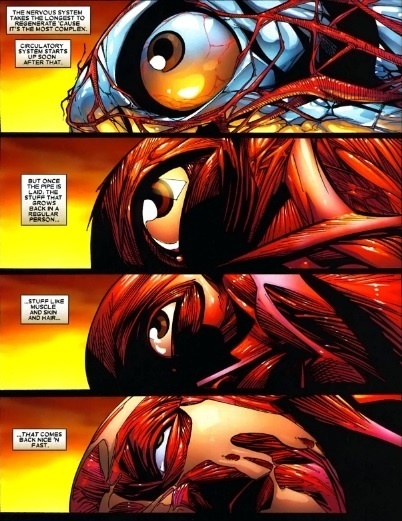 Here's a panel taken from a Wolverine comic, showing Logan's ability to regenerate his body around his adamantium laced skeleton! That's the goal for tomorrow's workout, to get the work done quickly and be able to recover quickly enough to perform at the same high level in the next round and every round after that! Score is reps + seconds remaining if you finish the round. For example, finishing in 1:50 would be a score of 60 (50 reps + 10 sec). Post your SLOWEST round. Score is reps + seconds remaining if you finish the round. For example, finishing in 1:50 would be a score of 70 (60 reps + 10 sec). Post your SLOWEST round.